What is the true value of your mobile app real estate? TLK Fusion Home / TLK Fusion Insight - Best of Breed Analysis / What is the true value of your mobile app real estate? How many branded apps does your brand maintain? What is the “real estate” value of these apps? Unlike bricks and mortar, the key phrase in branded apps is not location, location, location, but is engagement, engagement, engagement, carefully, methodically linked to the brands your important customers experience (UX). What is a branded app? It is simply an application normally placed on a mobile device that a brand or company uses to reflect and promote its brand identity. The app features the brand’s values, colors, logo, and visual identity. In short, it is the “mobile” heart and soul of the brand. In addition, a branded app must perform by providing results and adding to the ease of the customer experience. In so doing, it will improve the customer journey and provide some defined level of tracking of customer activity using the app. On the surface, this is a high-value piece of mobile real estate. But is your current app-based real estate the best use of the property lot, size, location, and demographics? Is your branded app a single-family home, a three-story brownstone, a multi-level apartment building, or a luxury condo? I would safely state that most branded apps are single-family homes or perhaps three-story brownstones. Valuable, yes, but limited in dimension, scope, interest, customer experience, and engagement. With the mobile user market growing every year (and there seems to be no end in sight), you as a brand need to take control of that growth and link the growth to your branded app, providing a multi-level luxury condo application versus any other. Perhaps your app needs to include hour-based changes that fluctuate with your market activities and customer usage, or, better still, it should include a marketing tool that allows the customer’s journey experience to be continued across not only devices but also time. This might enable your app to cut to the top of the 342,000 app list. Mobile device usage is not declining. With every new smartphone introduced, I keep waiting to hear of a stall in sales. But no, this does not happen, with an exception discovered by Apple. When consumers think a new Apple device is nearing release, they may halt their purchases, such as seems to be occurring with the most recent Apple smartphone line numbers, while everyone awaits the Apple X, 8, or Edition (whatever the name will be). How do you extend the use of branded app? There are of course multiple application developer based tools that answer this question, but what is successful use without sales, response, or a better customer experience? It is all about engagement, isn’t it? Marketingcharts.com states that the initial average retention rate for a mobile application one month after the download was 39%. That falls to 20% after the first three months. So little time, so many decisions—what should a brand do? Make your app a beneficial experience, a learning experience, a sharing experience, or a gaming experience. There are loads of apps that are beneficial. They include make-up apps such as L’Oreal’s augmented reality Makeup Genius app, which is successful in many ways, technologically and via an improved customer experience. BMW and AUDI offer apps that make the pre-drive and driving experience beneficial, such as showing you where you parked your car or enabling you to start your car remotely. These benefits have increased both brands’ car sales. MY ASICS app allows users to track their exercise, provides advice, and offers training plans—all very beneficial aspects of engagement and app use. Luxury brands like DeBeers, offers For You, Forever, an iPad app that allows customers to design their very own truly customized engagement rings. This is somewhat interesting because it clearly caters to a young society on the move socially and economically! Even such a simple task as microwaving popcorn can be helped using the Pop Secret’s Perfect Pop app, proving that even the little things in life can gain from the use of a beneficial app. 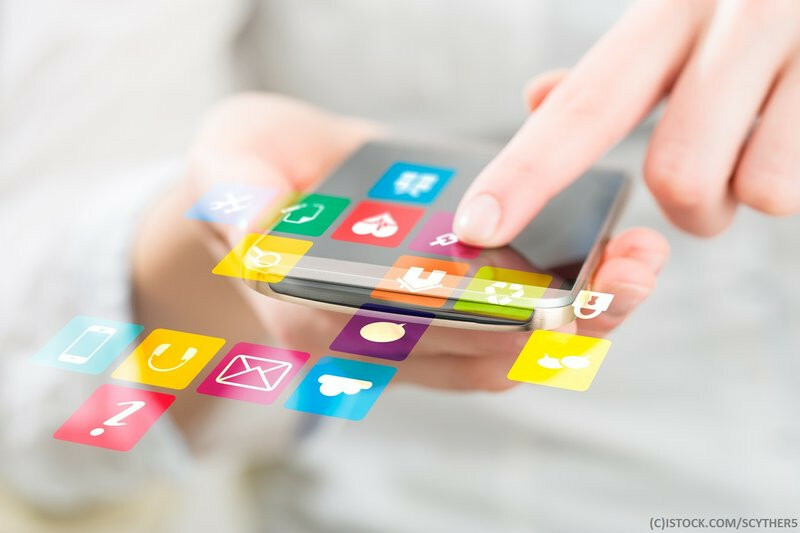 The list of apps that are clearly beneficial goes on and on, and they also provide enhanced and ongoing levels of engagement and customer involvement with the brand, and enable brands to also track customer activity. Here the mix becomes complex. There are training apps, internal training, external training, corporate training, and, as the first example below indicates, direct learning apps. Coty offers a Professional Beauty Branded Education app for stylists. This app offers 24-hour access to education tools and is designed to be used by salons to track team members’ progress and their success. Mindflash, Udemy and others offer corporate training-type apps that differ from the Coty app listed above. NauticEd features a myriad of sailboat and sail training apps that are titled Global 21st Century Sailing Education. They are, clearly education-based and are designed to grow with you. Sharing apps allow you to share everything from files, to photos, to assigned tasks, to books. iBooks is such a sharing app. There are others for photography, such as Darkroom and Lightroom. Steve Wadsworth, in an article for Forbes, states that half of the entire U.S. population plays mobile games, but only 10% define themselves as gamers. I think that most, if not all, can be defined as consumers, at one level or another. Gamification is the subtitle of this group. I prefer “brand adventure” as the term to describe this segment, since it removes the stigma of being a “gamer,” which is a negative term to many. Game-based apps can be and are used to attract potential new customers, to keep in touch with existing clients, to reactivate cold customers. They can offer a combination of benefits, education, and sharing to make the game even more interesting and more valuable for your brand. Gaming tools have been used for centuries to plan wars (Conflict Simulation, Corporate Crisis Management) or for many other valid purposes. Where are branded apps heading in the future? Personally, I think the future of game-based branded apps is going to be very bright. I think this way for a few reasons. One key reason is that the scope of true mobile use, in my humble opinion, has not been reached; the use of games as a marketing tool is still in its infancy. With all the consolidation within the mobile industry and the movement from cable-based broadcast to on-demand offerings, the major brands will need to follow the trends and develop serial episodes that will attract the consumer to return to the app time and time again. Think about this—traditionally, most apps have been developed and introduced for a single purpose. However, a mobile branded game-based app can be designed from the outset to change and to offer a new journey and experience as different levels are reached, new products are deployed, old services are expanded, or new services are introduced. Combined branded apps, ending with a game-based infrastructure, offer the very best of all mobile world benefits. They offer tracking, interaction, engagement, and brand experience. Converging tenets such as the seven pillars of sales promotion into your app development and execution is critical to achieving app Zen, app Nirvana. How you reach your higher level of app consciousness or improve the real estate value of your app is a tough process. It requires balancing you apps’ offering across the three levels previously mentioned (beneficial, educational and sharing) as well as looking to establish Dialogue, Interaction, Sales, and Engagementduring every series-based use. In your app development, look to create a series of episodes that, like our world, undergoes constant change—offering new tasks, new paths, and new solutions as the fast-moving world of consumers fluctuates and gyrates across the marketing universe. B2C or B2B are located in adjacent, parallel universes that each has their own rules of developing Dialogue, Interaction, Sales, and Engagement. Make sure your app is targeted to the correct market segment and offers the correct content, context, and end results. That planning will enable your app to live on beyond the third month of its release.